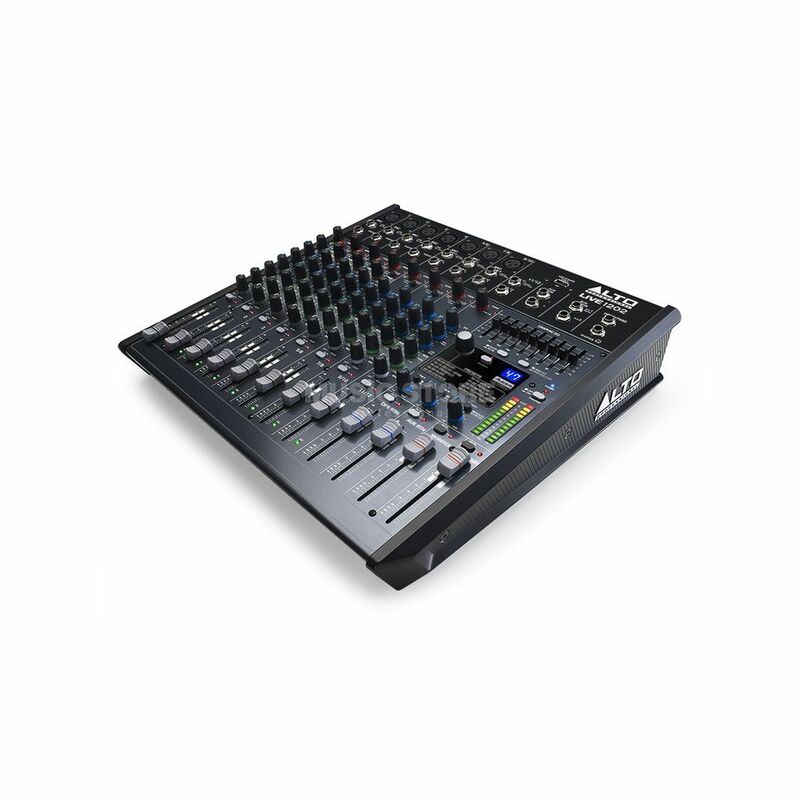 The Alto LIVE 1202 Live Mixer is a high-quality and competitively priced 12-channel mixing desk. Featuring everything you need to professionally mix a live performance – dynamic compression, 3-band EQ and 100 Alesis DSP effects including reverbs and delays – the 1202 is ideal for smaller venues and rehearsal rooms. Live 1202 offers high-fidelity sound and high-quality DSP tools in a single package. Each microphone channel is outfitted with a high-headroom ultra-low-noise DNA microphone preamp for unprecedented sound quality and a robust audio signal path. Live 1202’s high headroom results in cleaner mixes, a purer signal path, and loud, punchy audio. Onboard analogue compression (channels 1-4) helps control dynamics and gel instruments together for a cohesive, defined mix. With high headroom, pristine sound, and built-in dynamic control, Live 1202 ensures that the full dynamic range of your mix comes across with striking clarity.